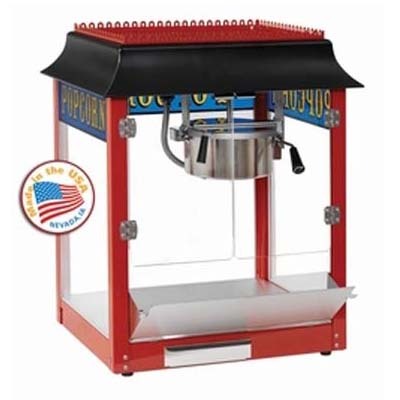 Professional Series 6 or 8 oz Popcorn Machine - J.D. Honigberg International, Inc. 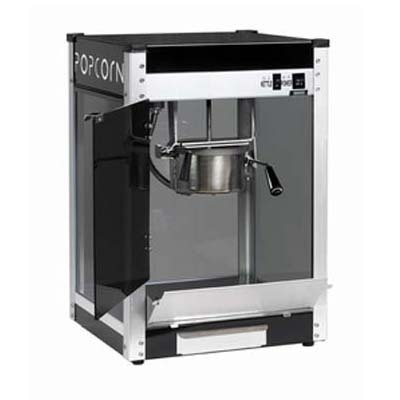 The stainless steel construction along with the tempered glass panels provide for an easy-cleaning and exceptionally durable popcorn machine popper. 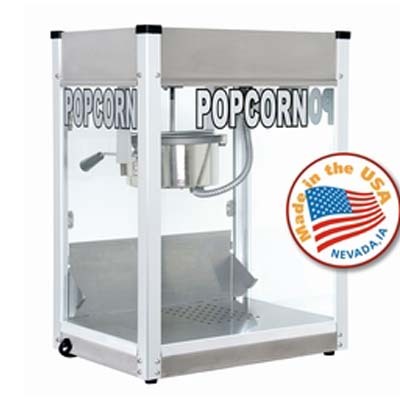 The Professional Series 6 oz popcorn machine is easy to fit into small areas due to its 20″ wide by 14″ deep footprint. The Hard-Coat anodized aluminum popcorn kettle means superior performance while providing ease of cleaning. The heated warming deck will keep popcorn warm and fresh for long periods of time. 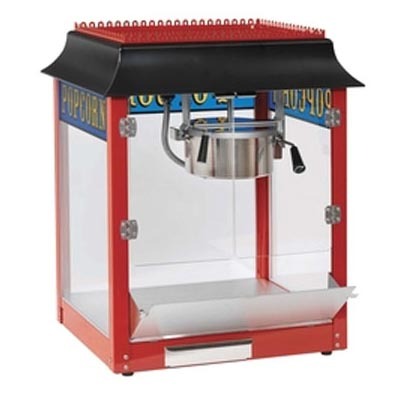 This full-featured popcorn machine also includes a removable clean-out tray for easy cleaning and an old-maid drawer to catch the un-popped kernels. 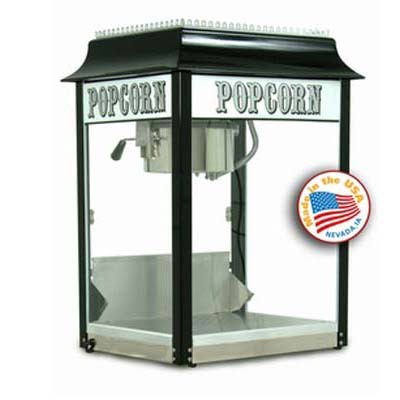 The Professional Series 6 oz popcorn machine utilizes a 50 watt R20 presentation lamp to highlight the popped corn for added impulse sales. This popcorn machine will cycle in approximately 3 minutes and produce 113 ounces of popped corn in an hour. One serving will produce enough popped popcorn to fill approximately six 1-oz bags.